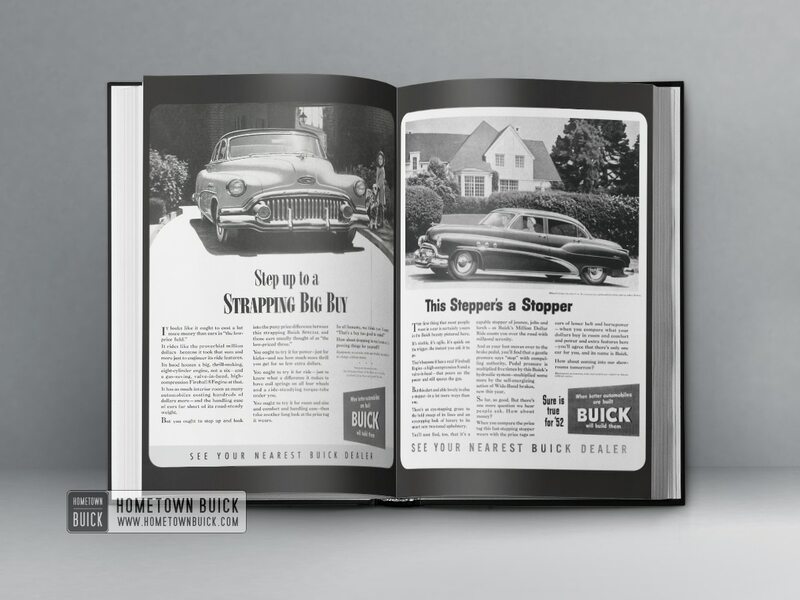 One of the preferred marketing channels of the 1950s were newspapers. 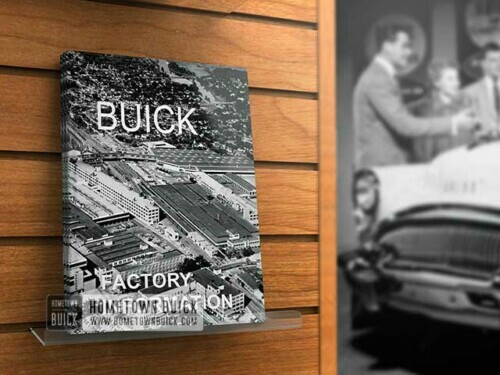 Buick made lots of beautiful ads for their new cars. 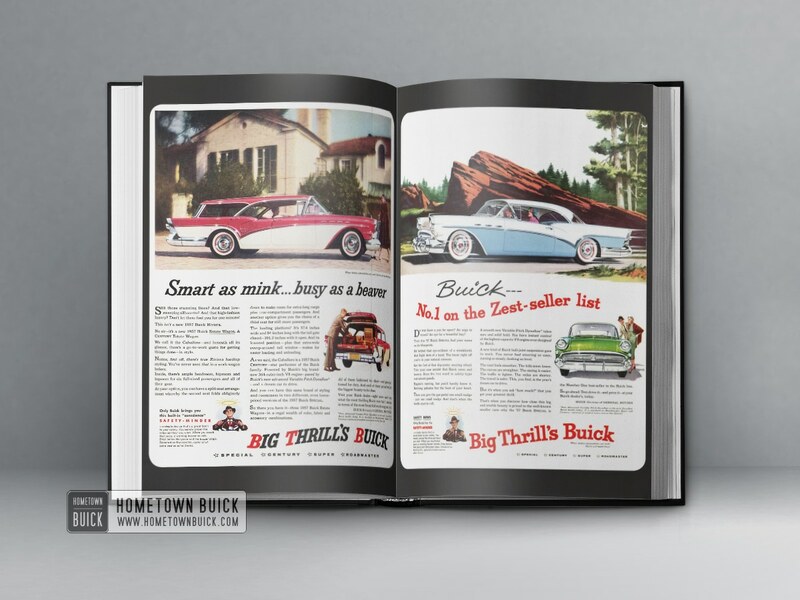 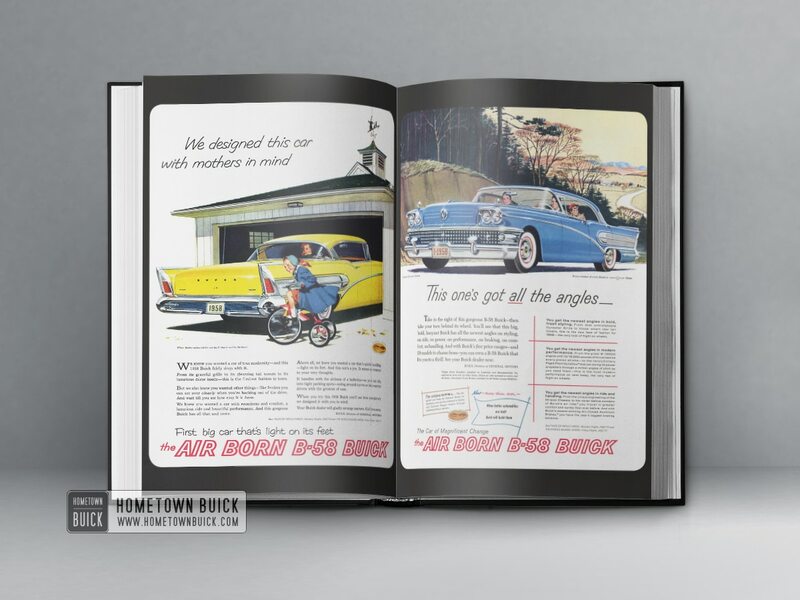 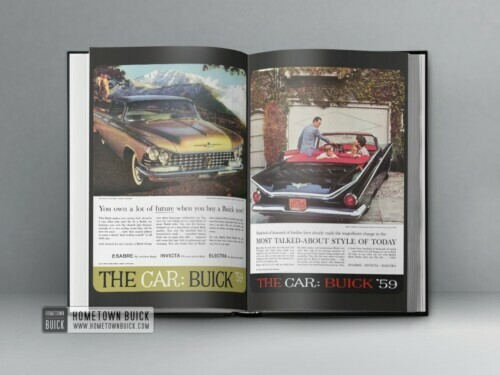 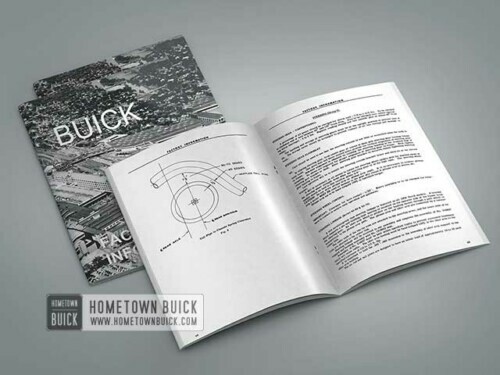 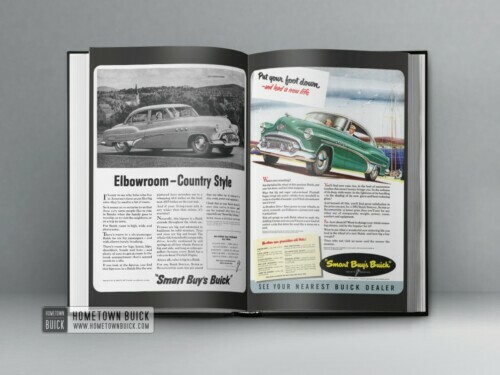 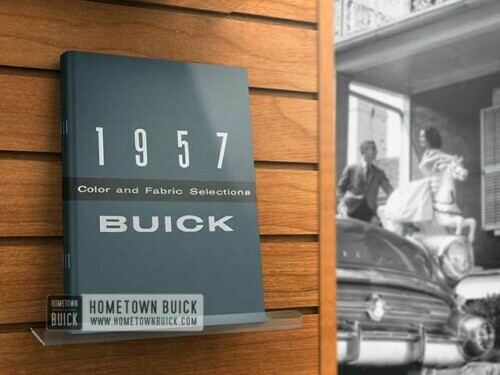 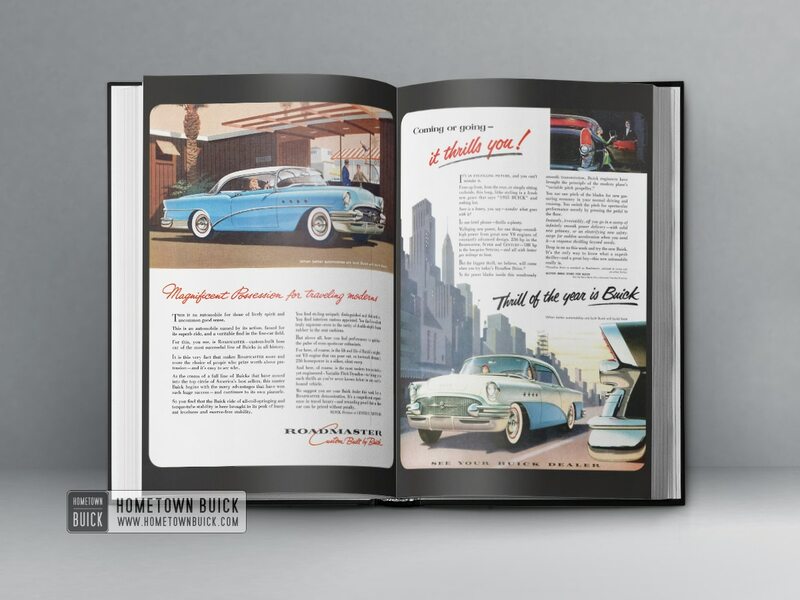 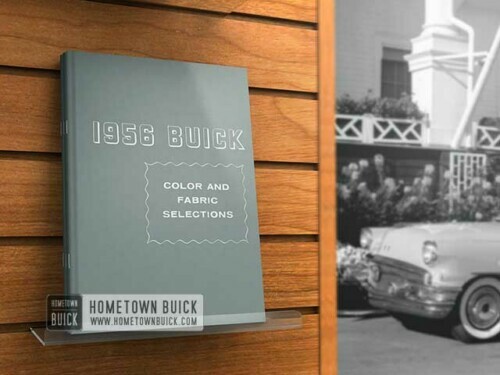 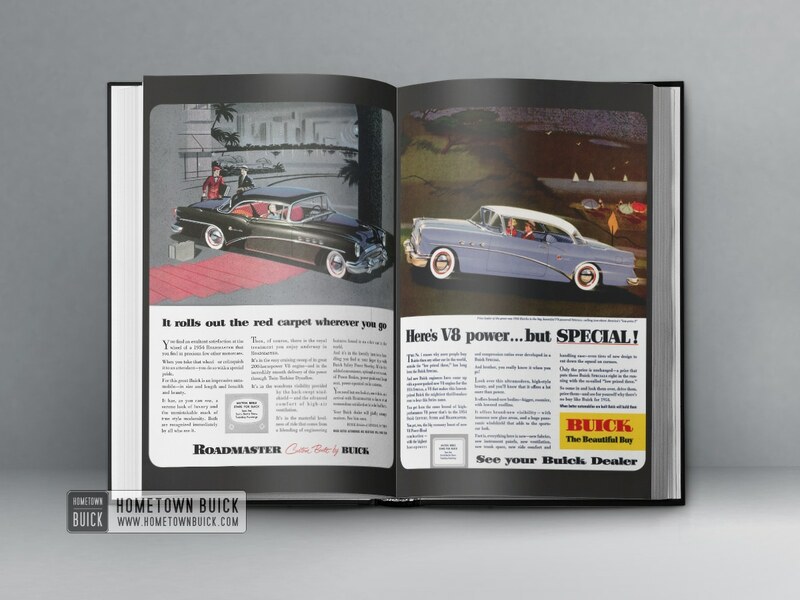 This 1950s Buick Ads Book has 100 ads – 10 for each model year! It takes you back in time and gives you the opportunity to see many marketing masterpieces for little money. 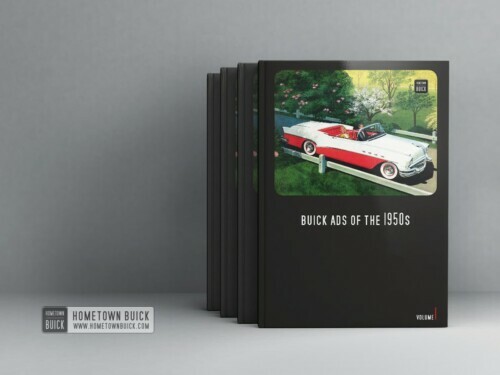 If you buy them seperately, calculate with at least 5 USD per ad plus multiple shipping! Plus, some of these ads are hard to find! 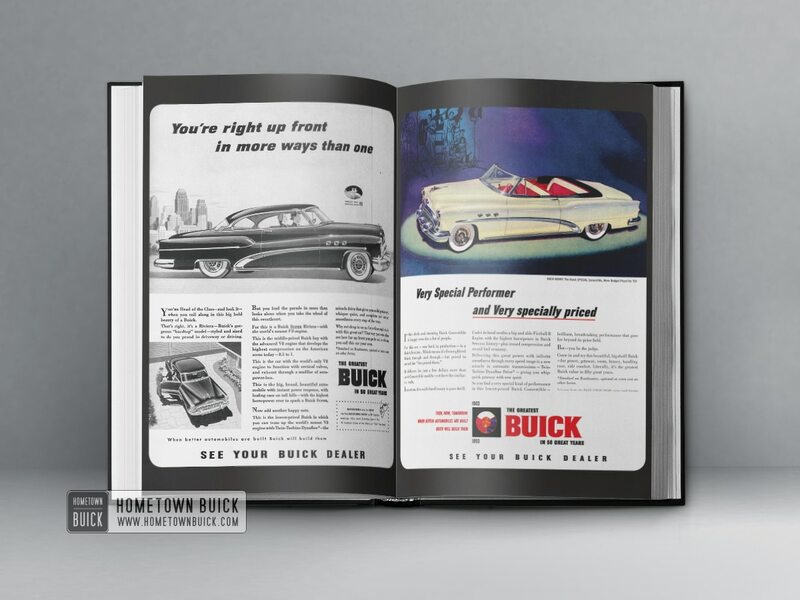 To represent authentic information, the ads have been retouched only a little bit. 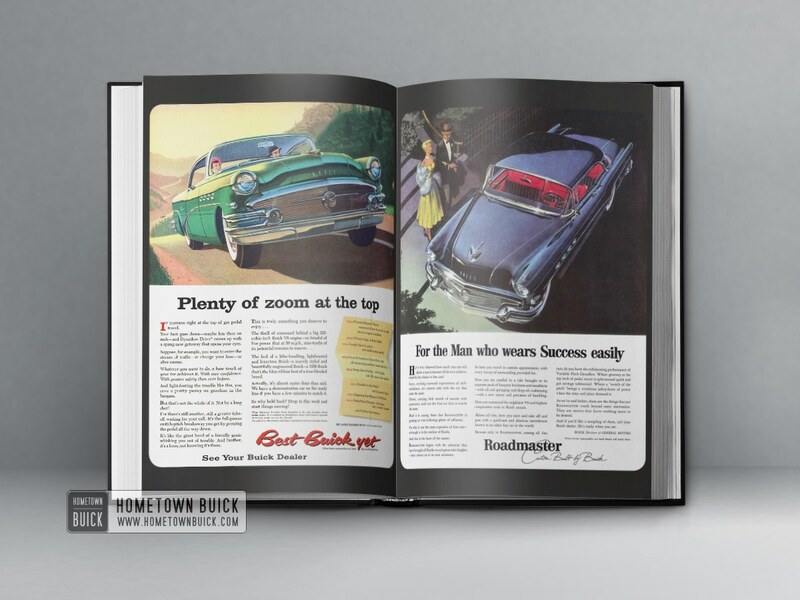 Don’t expect 100% perfect ads by modern standards. 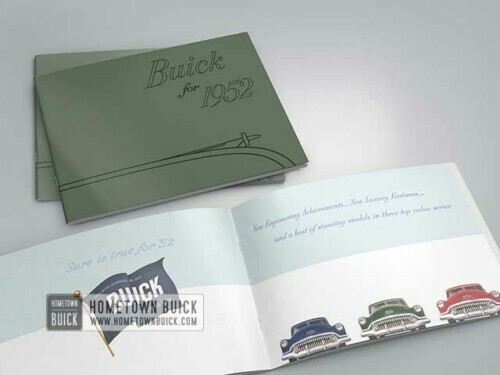 All graphics were made in the 1950s. 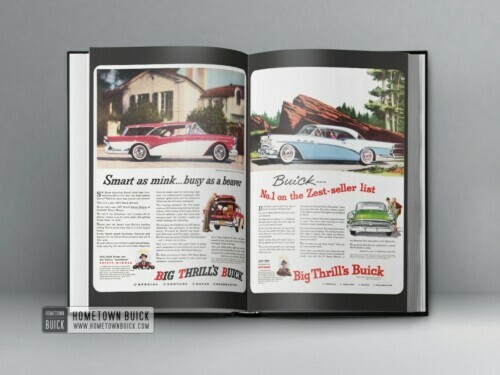 The colors and photos could be slightly different due to the used color correction system. 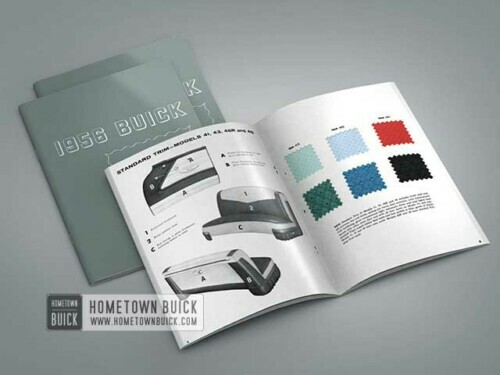 The book was produced by a professional printing company. 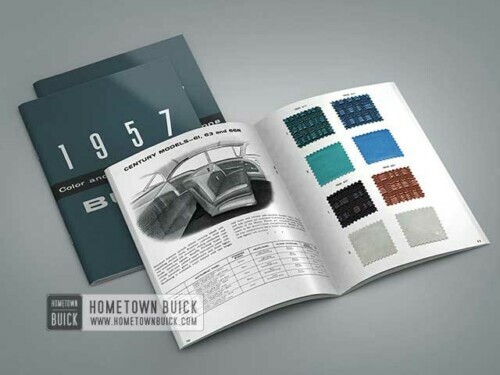 It has a hard cover and a high quality thread stitching for better durability. 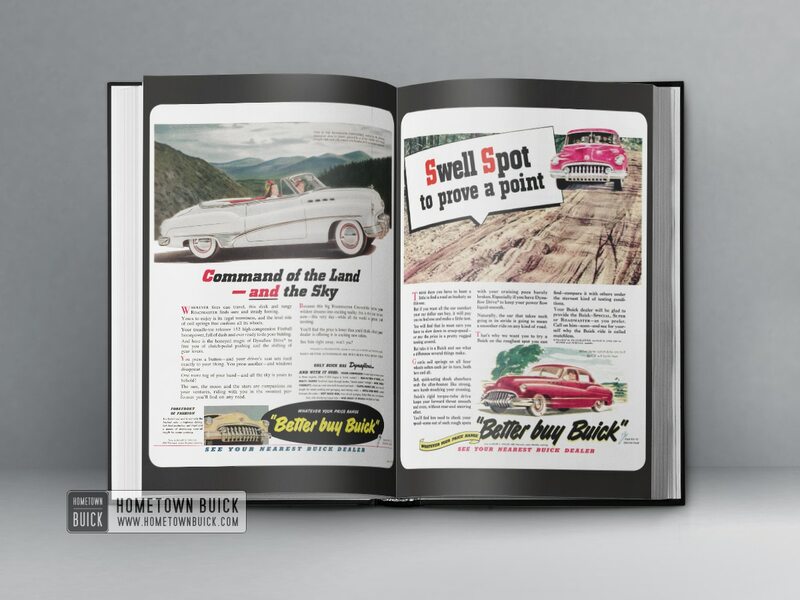 All inner pages are made of thick and heavy paper (almost twice as thick as usual office paper). 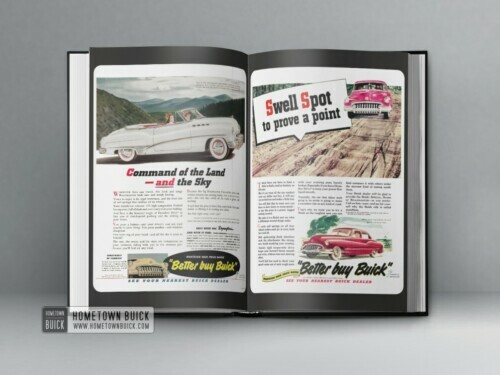 The reprint ads might be smaller/bigger than the originals. Size of the book is approximately 8.27 inches wide and 11.69 inches high (DIN A4 – 21 cm wide and 29.7 cm high). 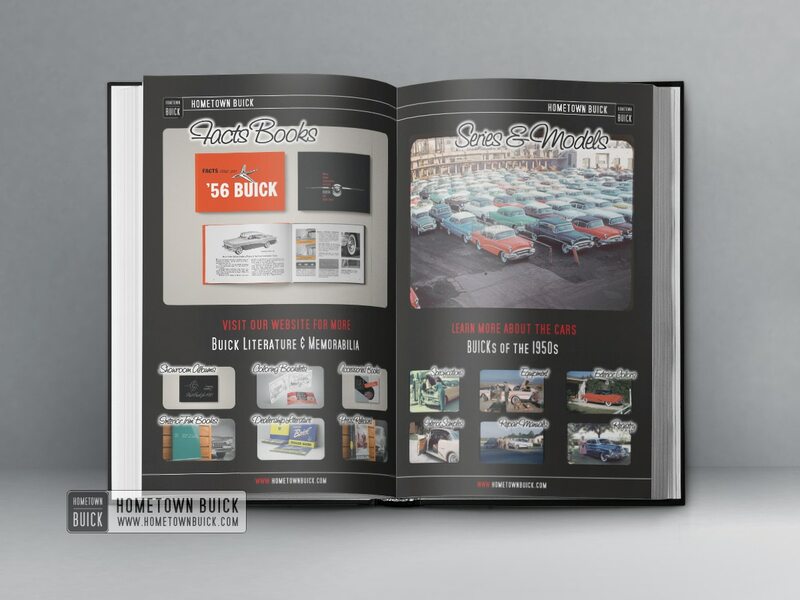 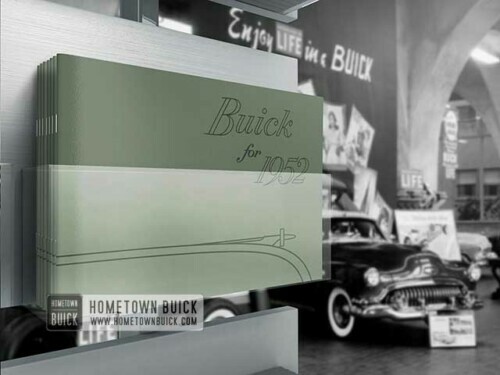 This is a perfect gift to a classic car enthusiast and a neat collectable for all Buick owners! Get your 1950s Buick Ads Book today!